Here’s the perfect Valentine gift. 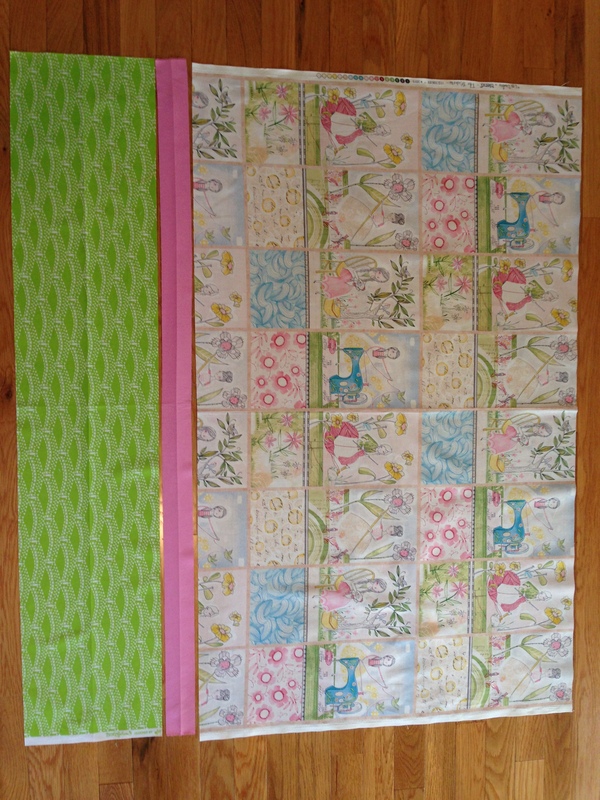 Terri LaRue and I worked up this pattern YEARS ago 🙂 I used The Makers Fabric Collection from Cori Dantini for the body. (Gina has it at The Little General.) So sweet! Enjoy! 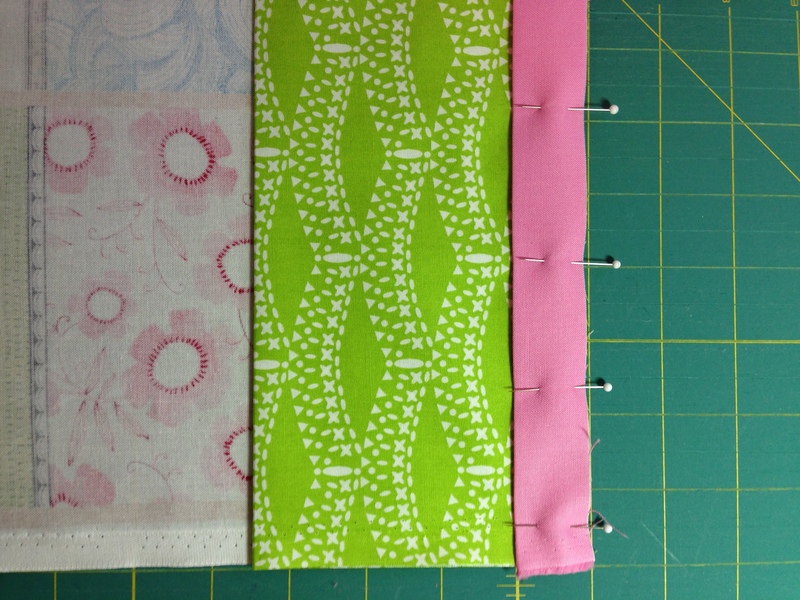 Press the pink trim in half, wrong sides together. Do the same to the green cuff. Place the body, WRONG SIDE UP, on your work surface. 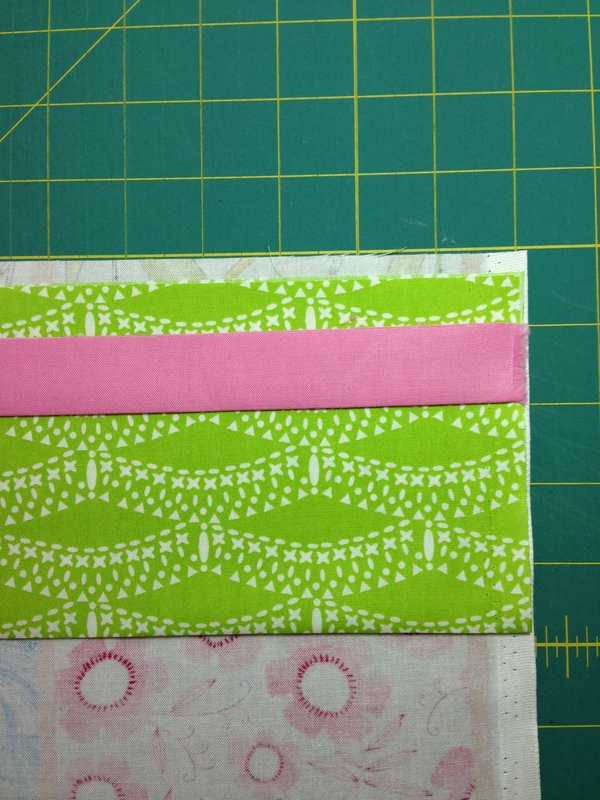 Line up the raw edge of the body with the raw edge of the cuff and then the trim. 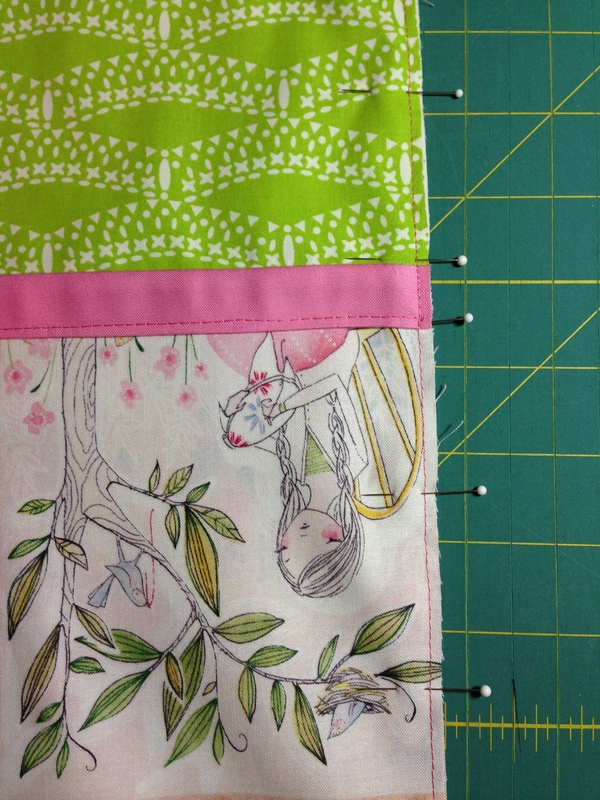 Pin along the edge and then stitch a 1/4″ seam. 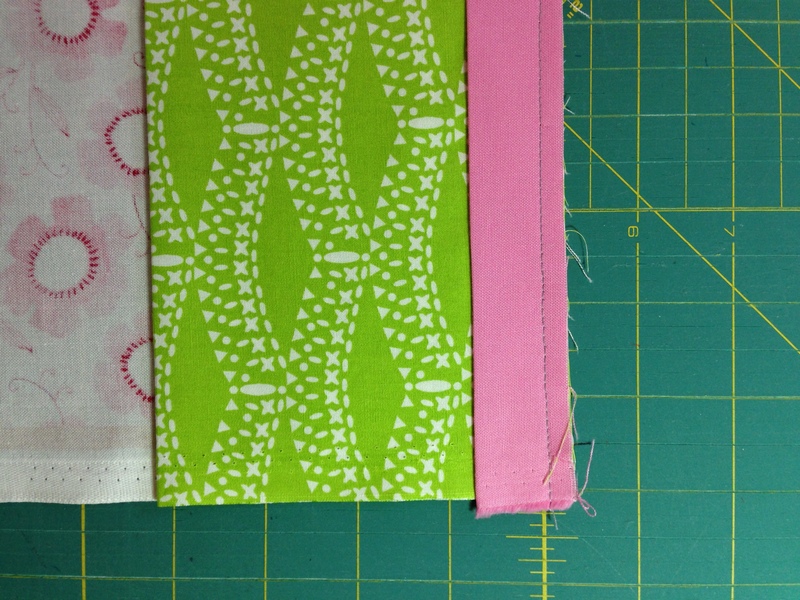 Press the pink trim and the green cuff up to the right side of the fabric. 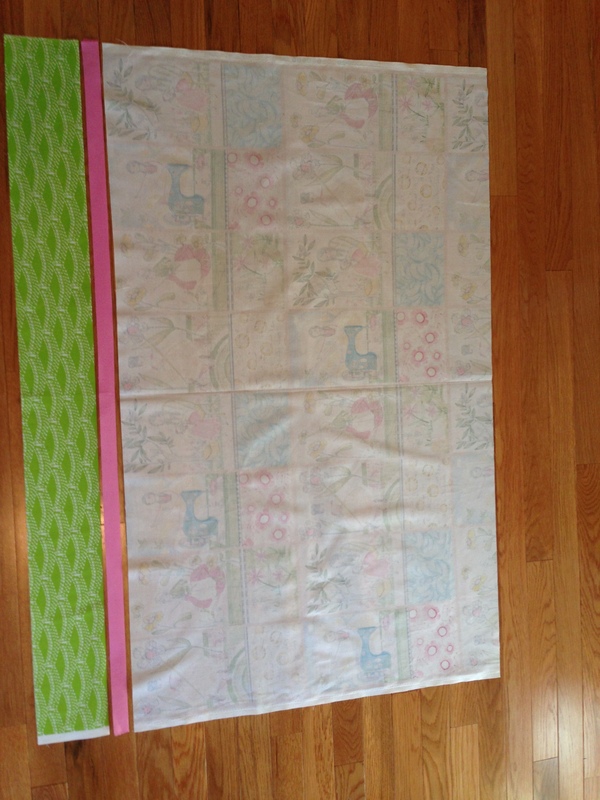 Pin the pink trim to the body of the pillowcase. A little spray starch helps keep everything nice and flat. Top stitch along the edge. 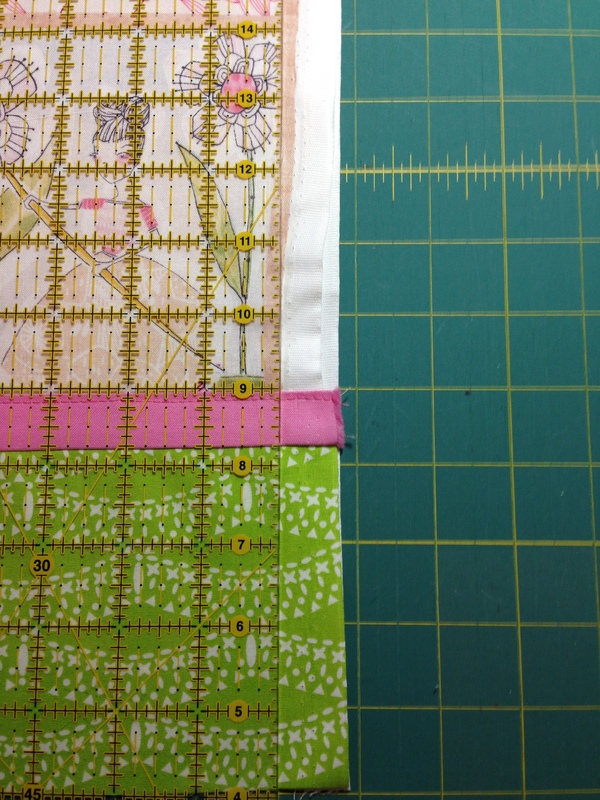 Trim off the selvedge along both edges. 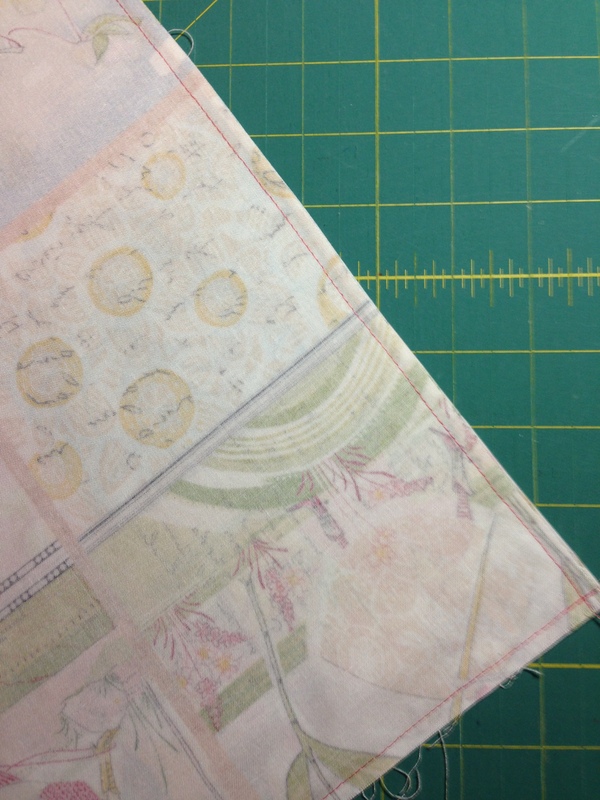 To make a nice finished “French seam,” fold the pillow case WRONG sides together. 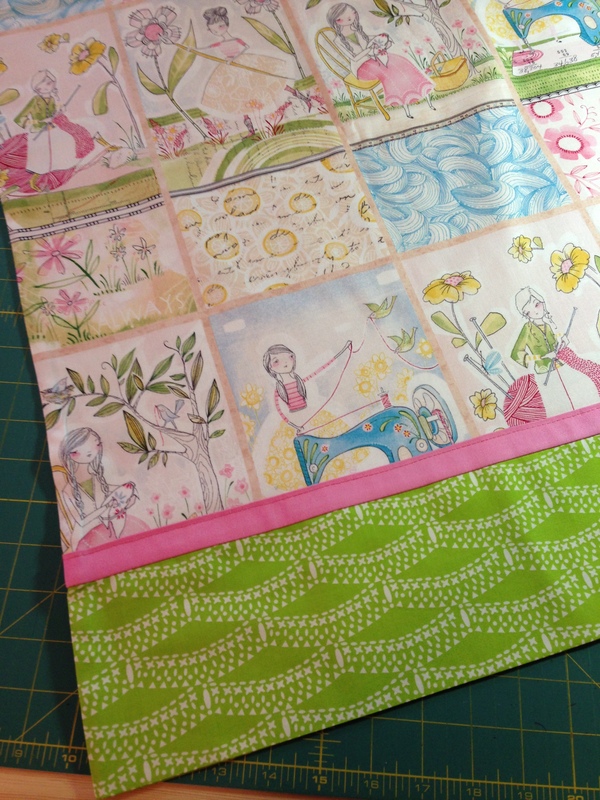 My friend Debbie is responsible for showing me this technique! Thanks Deb! 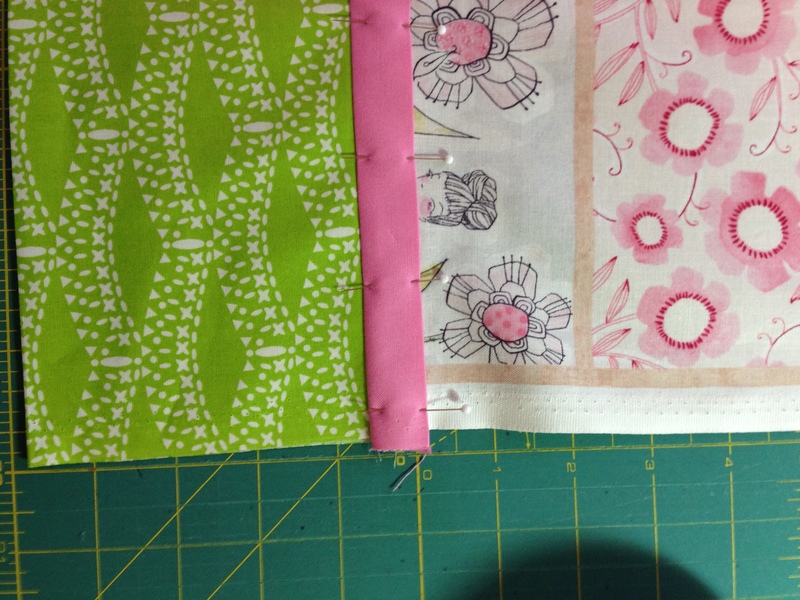 Stitch a 1/8″ seam along the edge. 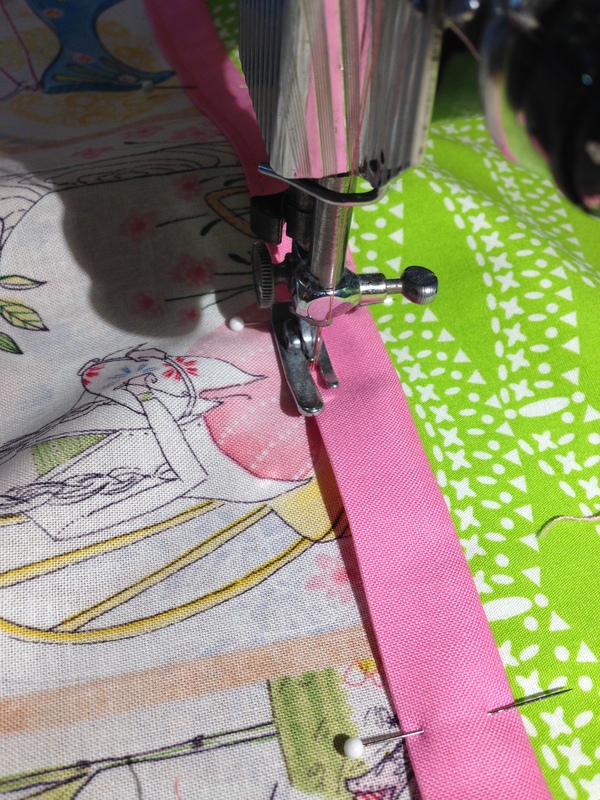 Turn the pillow case inside out and then take a 1/4″ seam along the edge and the top. Give it a good press and you are finished! Happy Valentine’s Day! 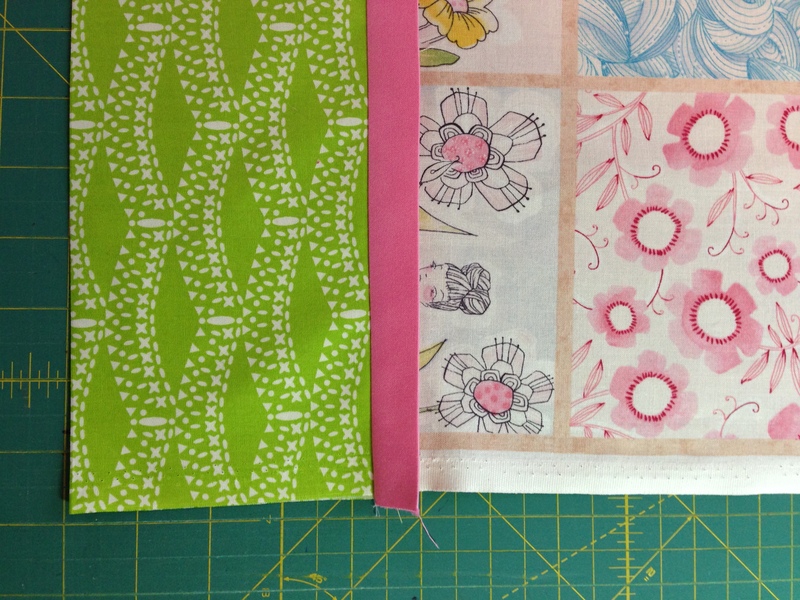 This entry was posted in Uncategorized and tagged pillowcase tutorial on February 11, 2015 by kathleenbaden. 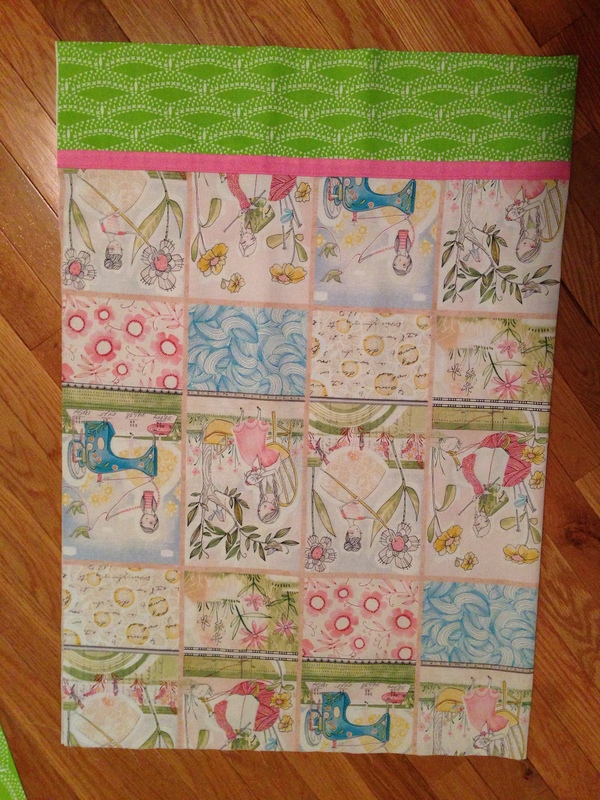 That’s a nice finish on a very pretty pillowcase, KB. 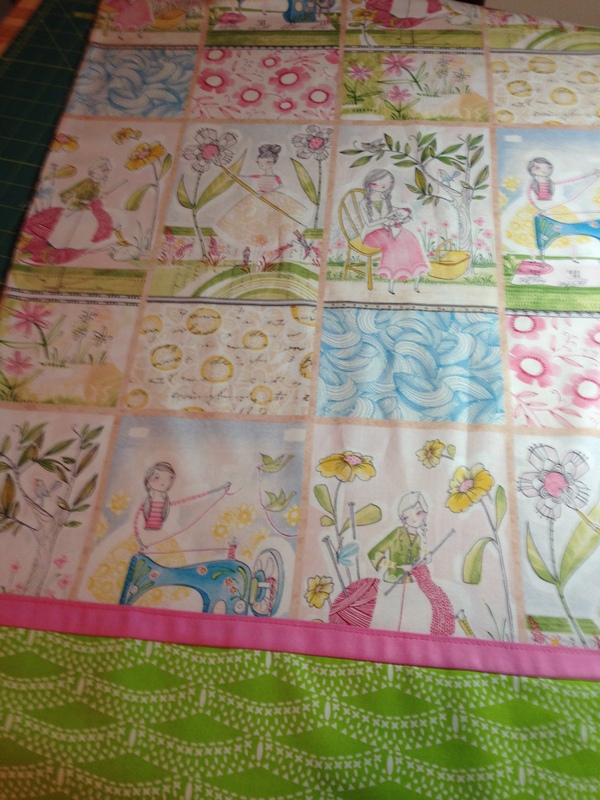 I have been working on pillowcases too; using the “hot dog” method by way of the ConnKerr Cancer website. Our youth will be making them at church on Sunday for donation to that cause; I needed to familiarize myself with the method… it’s pretty slick. Thanks for your tutorial, I love the accent band on the cuff! Happy Valentine’s Day! Thanks Debbie! Happy Valentine’s Day to you too! A great post KB of one of my favorite patterns. You simply can’t go wrong with this one and so easy peasy. Instant gratification! 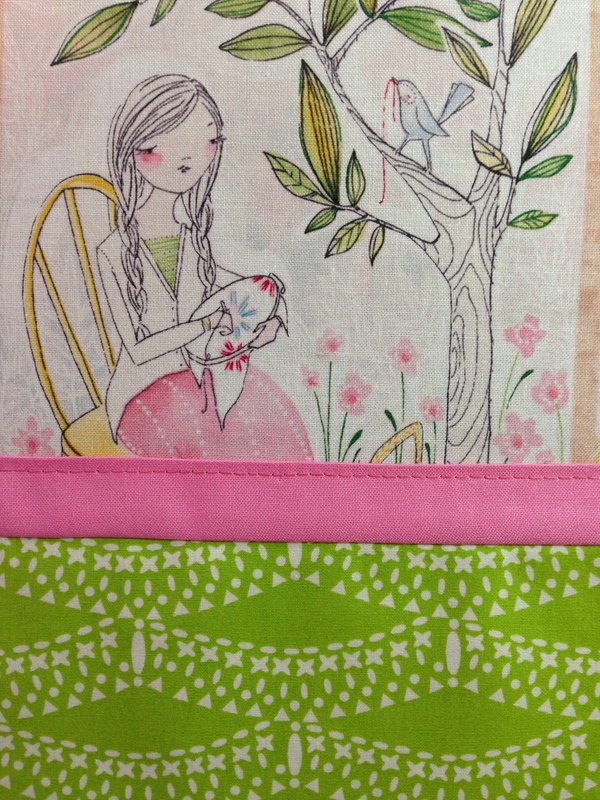 Thanks Carol; the fabric in this one is so sweet. Happy Valentine’s Day!